Two years ago today, I started Daily Track Pic, just to try something new and maybe learn a little bit about WordPress. As it turns out, I’ve learned a lot more about the rest of the world, and a little more about the history of the sport of track & field/athletics. And I have been able to live up to the blog’s name, and have posted a track every single day over the past two years. So to mark the anniversary, which happens to coincide with a huge meet this weekend, the choice was pretty obvious which track to post today (even though I’ve already posted this one a couple of times). 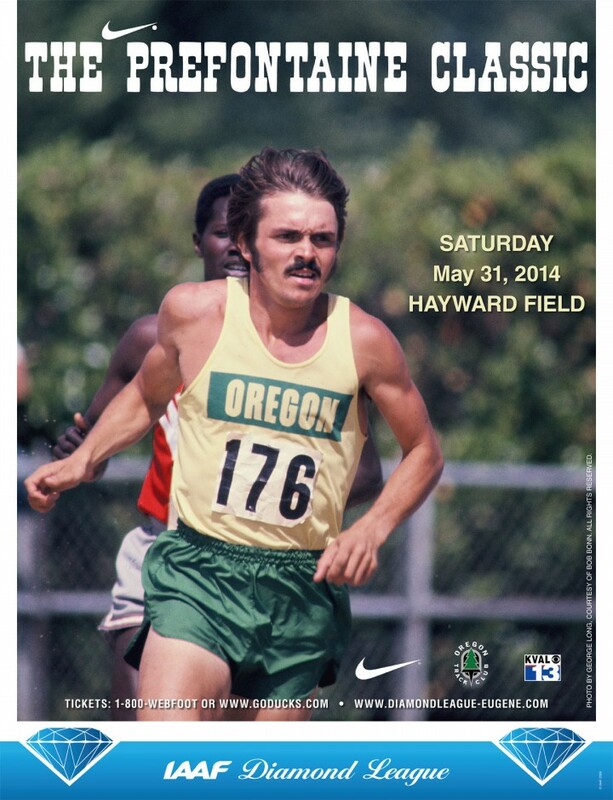 The Pre Classic starts tonight and continues on tomorrow. Meet results will be available HERE. I’m using a Bing Maps photo today, with a rotated view for a new angle. The track runs north-south. This view is from the east, looking west.